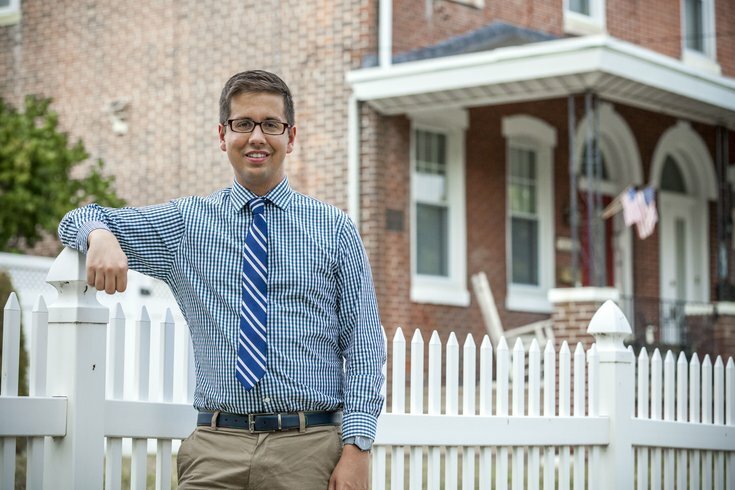 Alexander Balloon, corridor manager for the Tacony Community Development Corporation stands in front of a home on the 7000 block of Tulip Street. “A lot of people had jobs that were the first to go during the recession," he said of the many foreclosures that hit the neighborhood. Outside of Center City and its much ballyhooed revitalization, Lower Northeast Philadelphia is arguably the corner of the city that has experienced the greatest transformation since the beginning of the 21st century. Long a bastion of working-to-middle class, white homeownership – with its largely Italian, Irish, Jewish and Polish populations – these neighborhoods have changed dramatically in the last 15 years. The brutal effects of the recessions of the 2000s on working class households have caused median income and home ownership rates to fall across the Lower Northeast, just as the area has become more racially diverse. This combination of factors have fueled a gloomy narrative of decline from many a neighborhood expat or long-term resident. In the Tacony section, however, the local community development corporation has strived to counteract this pessimism. 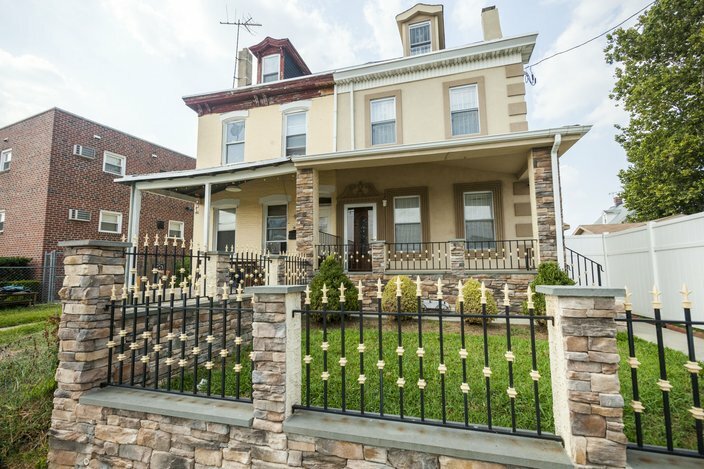 The efforts of the Tacony Community Development Corporation (CDC) were rewarded this summer when the American Planning Association's Pennsylvania chapter honored Tacony as one of its “Great Neighborhoods.” And earlier this month the TCDC released an optimistic report on investment in the neighborhood’s housing stock. "Further up the Delaware you go, the less revitalization or gentrification has occurred, but I would characterize Tacony as relatively stable – neither appreciating or depreciating," says Kevin Gillen, senior research fellow at Drexel University's Lindy Institute for Urban Innovation, and an expert on real estate trends in Philadelphia. "It's one of those river ward neighborhoods that has suffered throughout the decades as a result of the deindustrialization and the bleeding of jobs," he added. "But where the Lower Northeast has seen quite a bit of in-migration from foreign immigrants, I haven't seen that level of penetration in Tacony itself though. It's still largely ethnic white working class in character." The report suggests more stability than might be guessed by recent studies of city neighborhoods. Tacony, which coincides almost exactly with zip code 19135, saw its median sales price fall by 21 percent since 2010, according to Pew's 2015 State of the City report. Its homeownership rate fall by 13 percent since 2000, Pew reported in a 2014 study. Meanwhile, wages declined from $47,927 in inflation-adjusted dollars in 2000 to $35,859 in the most recent Census data. The tremendous decline in median sales prices and home ownership is linked to the post-crash increase in distressed sales. But the agency's report shows that despite these blows, the neighborhood is not showing signs of abandonment or blight. (Indeed, there were only 96 more vacant housing units in 2010 than in 2000.) The median sales price between 2012 and 2015 was $85,000, compared to $158,000 for the whole city, with 846 of Tacony’s 9,300 units sold. The CDC estimates that 60 houses were flipped in that time, but the average sale of these homes was only $114,000 – not the kind of number that leads to displacement or a bubble. “There is still an abundance of affordable workforce housing of decent quality,” the report concludes. Balloon reports that the CDC's Problem Properties Task Force has tackled 70 sites in the neighborhood, and that the northeastern section is now down to one last boarded-up house. The commercial spine of Torresdale Avenue has experienced a facelift thanks to the CDC. In addition to the usual barber shops, dollar stores, and pizza joints, the neighborhood can also claim several novelty stores (including a dart shop, a record store, and a coin collectors’ emporium) and some of the best hoagie places in the city (leading the Daily News to enthuse, in 2012, “Can Hoagies Save Tacony?”). All that isn’t to say that Tacony isn’t changing. As of 2000, 92.5 percent of the population was white, but in 2010 that number dropped to 66.8 percent. (The most recent estimates show a further one-percent drop, which could portend a slowdown in racial transition). Although the Lower Northeast is now one of the most racially diverse areas of the city, in large part due to growing immigrant populations, only seven percent of Tacony’s residents are foreign-born. Many of the more recent arrivals are African-American (18.7 percent) or Puerto Rican (11.3 percent). Most of the newer residents are clustered in the neighborhood’s southern section nearer the Frankford border, where the housing stock is almost uniformly composed of rowhouses. (Tacony’s housing diversity has long been commented upon: “the neighborhood contains nearly every conveyable kind of rowhouse,” the Philadelphia Bulletin noted in 1979, a legacy of the fact that industrialization came to the area a half century before the rest of the Northeast.) 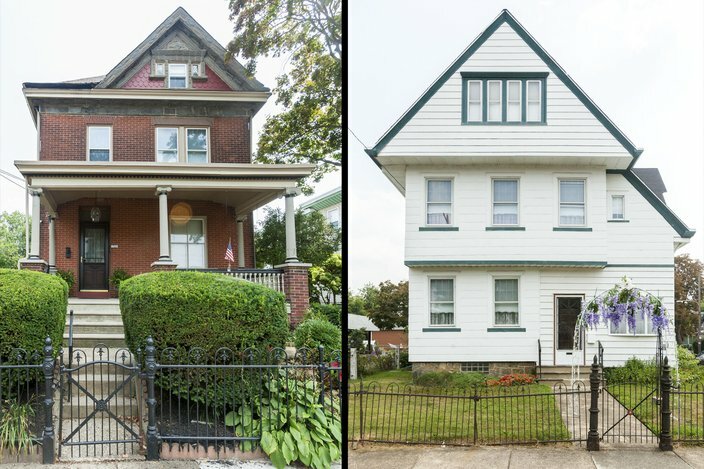 The section of Tacony with larger rowhouses, twins, and even single houses, often sitting on tree-lined streets of a sort rare in Northeast Philadelphia, is still largely white. The challenge for Tacony will be to maintain the neighborhood’s diversity without sliding into re-segregation. Research from the Institute of Metropolitan Opportunity has shown that many neighborhoods that were once majority white move through a period of what looks like integration on paper, but results in re-segregation if active efforts are not made to preserve a mixed-race environment. The task could be made more difficult as wages remain stagnant and public services strained. But Georgeanne Huff Labovitz, president of the Community Development Corporation, argues the neighborhood will stabilize. The problems, in any case, aren’t Tacony’s alone.